Select any image on this page to view a larger version. We were approached by our clients, who were looking to add extra living space to their period property which dates back to 1640. 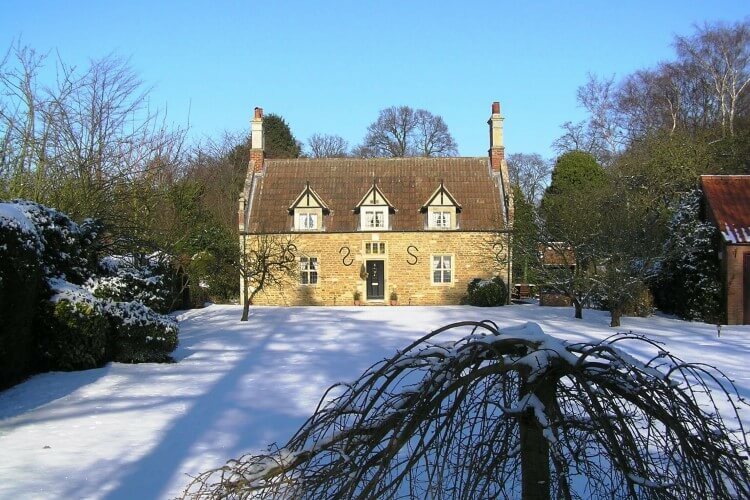 We were selected because, over our 18 years of successful trading we have amassed a great deal of experience in adding a conservatory on a listed building. Our brief from the client was to design and specify a room that could be enjoyed all year round and blended in perfectly with the existing property. Our clients initially requested we specify a glass roof, which you can see in the CAD image we provided them in the right below, however when we are adding a conservatory on a listed building we always like to make early contact with the local conservation officer, who indicated that a glass roof would not be approved in this case. Having consluted the local authority conservation officer our clients then decided to change the specification for the roof from glass to lead. Vivaldi then submitted the necessary planning permission application, as well as a building notice to confirm compliance with the relevant building regulations. 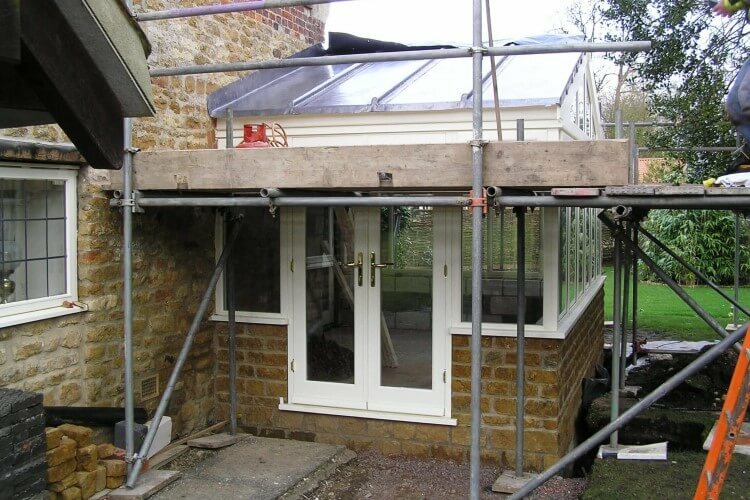 When adding a conservatory on a listed building it is necessary to submit a Design and Access Statement to show that the design features of the existing building have been considered and that building the project will have no detrimental effect on the existing house or its surrounding area. 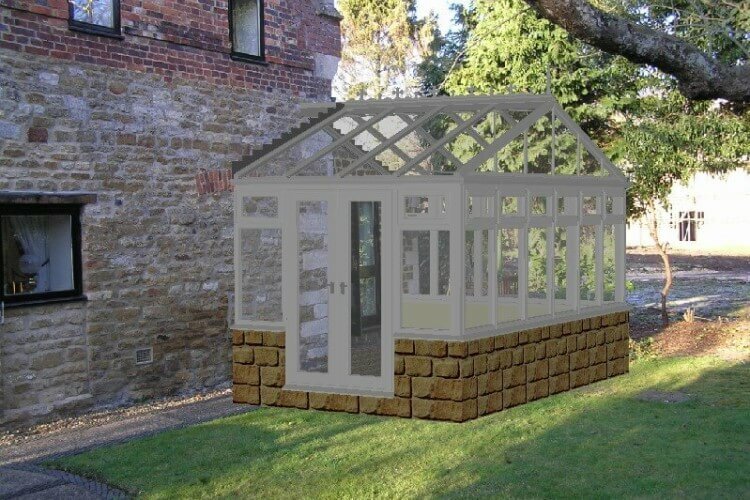 At Vivaldi we are happy to provide a quotation to build your conservatory on a listed building throughout the UK. We take care of the entire project, from dealing with the planning application, right through construction to completion including the plastering electrics and flooring. Our clients get the conveneince of a single dedicated project manager and the peace of mind that comes with our insurance backed guarantee issue through the Consumer Proection Association. 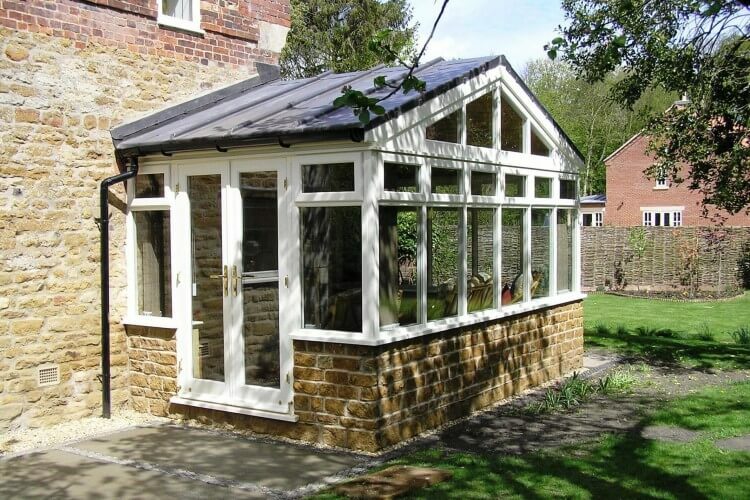 This conservatory featues a gable front conservatory design and is built on stone walls, sourced to match the existing property and approved by the local authority planning officer. This project also features hardwood side frames and a lead roof. 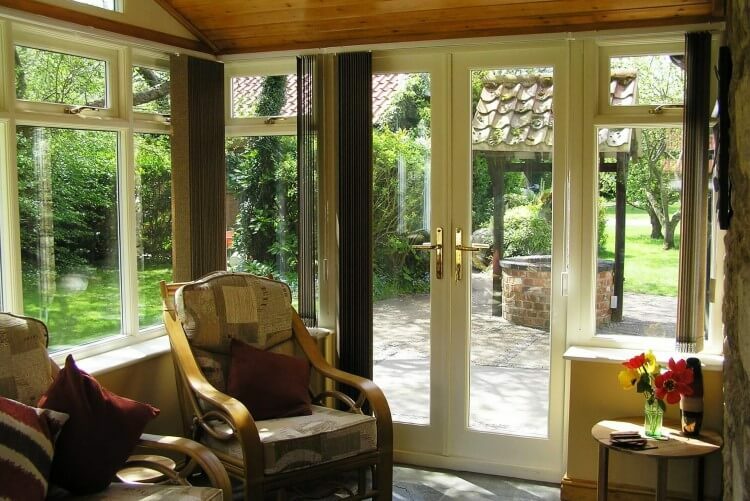 This project was constructed in the Harlaxton Conservation Area, for more of our conservatories in the Grantham area visit our Grantham Conservatories page. The glass gable frame has been designed to allow in as much natural light as possible, a crucial design feature given we were forced to change at the design phase from a glass to lead roof. Not every conservatory on a listed building is a complex as this project was, but our client was delighted with the quality of work and attention to detail at every stage. If you are considering a conservatory on a listed building, give us a call, we would be pleased to help you. Click here view more examples of hardwood conservatories on a listed building. We build bespoke orangeries and conservatories throughout the UK. Follow this link to view some more of our replacement conservatory projects. In addition to replacement conservatory roof projects we also carry out projects to replace polycarbonate conservatory roof with glass, as well as new build conservatory and orangery designs to suit any home.